Marion (Mahima) is an eternal light-worker, seeker of the truth, and a lifelong student of movement. 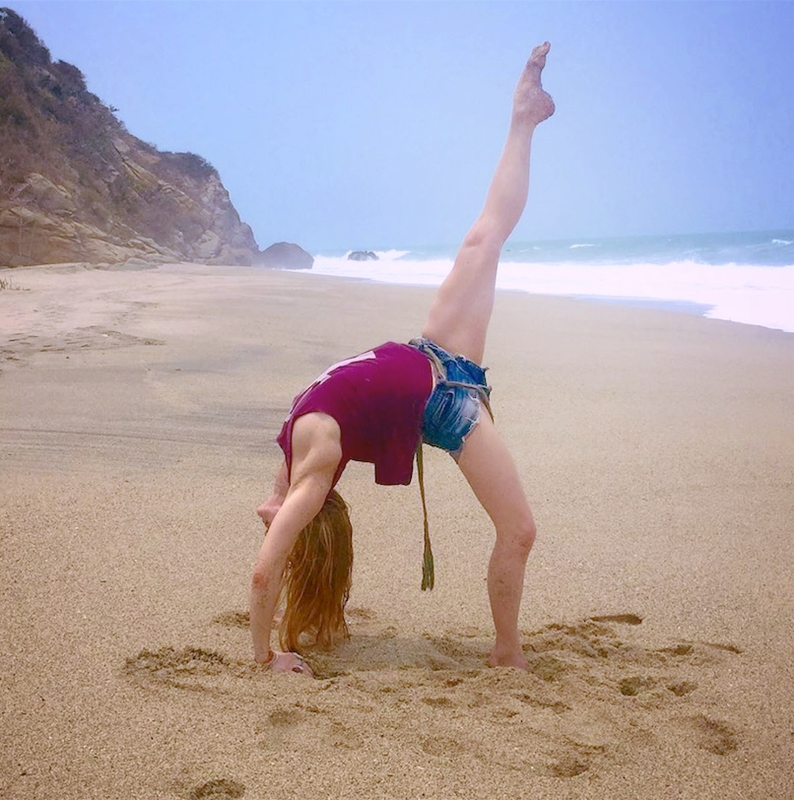 After 18 years of dance training, she began her yoga practice in 2000 and has been teaching since her 200 hour certification at Integral Yoga NYC in 2005. She additionally completed Vinyasa training with Shiva Rea in 2008 and the 300 hour Jivamukti teacher training in 2015. Marion has worked with students of ages 6 to 92, beginner to advanced. Drawing great inspiration from her Sanskrit studies, Vedantic philosophy, as well as from North and South American indigenous teachings, she hopes to spread the ancient knowledge and to help awaken the inner guru (inner teacher) residing in all of us. Her carefully sequenced vinyasa classes focus on organically aligned movement, integrated breath, energetic connection, sound and mantra. Mahima has has spent time in Nepal where she lived in a Buddhist Monastery teaching yoga to the young monks. While there, she completed a Tibetan Singing bowl therapy and Chakra Balancing training with 3rd generation Master Shree Krishna Shahi. Most recently she returned from India where she studied Pranayama and Ashtanga Vinyasa Yoga with B.N.S Iyengar at the Krishnamacharr Yoga Shala in Mysore. She has been a Gyrotonic trainer since 2005 and currently teaches this remarkably intelligent movement system to clients in NYC. Additionally, she has 800 hours of training as a massage therapist. Mahima is grateful to Shri Brahmananda Sarasvati and Ananda Ashram, a yoga retreat and spiritual center where she lived, worked and studied for the past 5 years. She extends humble thanks to all of her teachers on and off the Ashram and to all of her teachers human and non-human. Expect a peaceful, nurturing, and accepting space in Marion's class. Your session will be tailored to your individual needs, regardless of age or experience level. Marion teaches group and private classes and if possible will travel in your direction with much joy. Marion is proud to be an ambassador for Manduka and for KD Dance. Aum! Let there be peace in me!